Is probably the first question that pops into the mind of any investor, regardless of the investment. Real estate is no exception. In fact, according to a survey from SmartMove, "non-payment of rent" was the No. 1 concern of landlords. 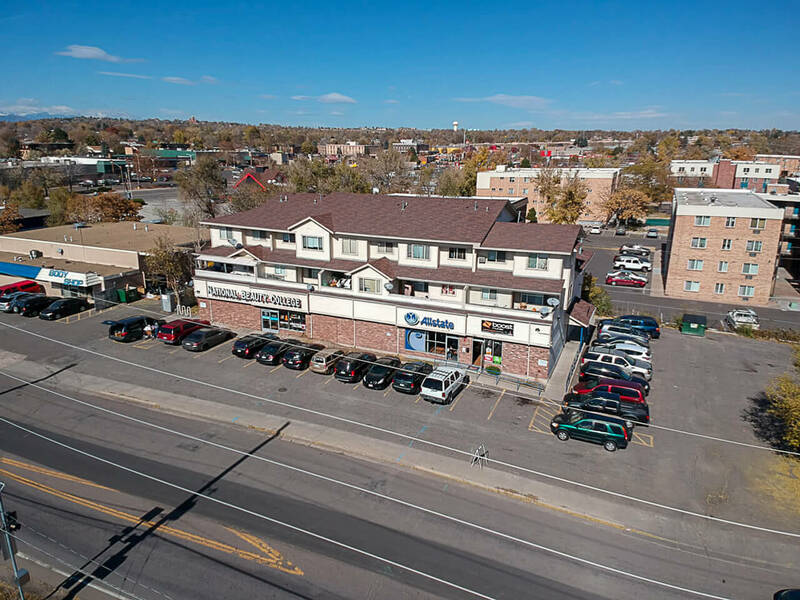 BrickOp investors can rest easy knowing that our property management partners have already searched for and found high-quality, paying tenants. How exactly does the rent make it into your pocket? 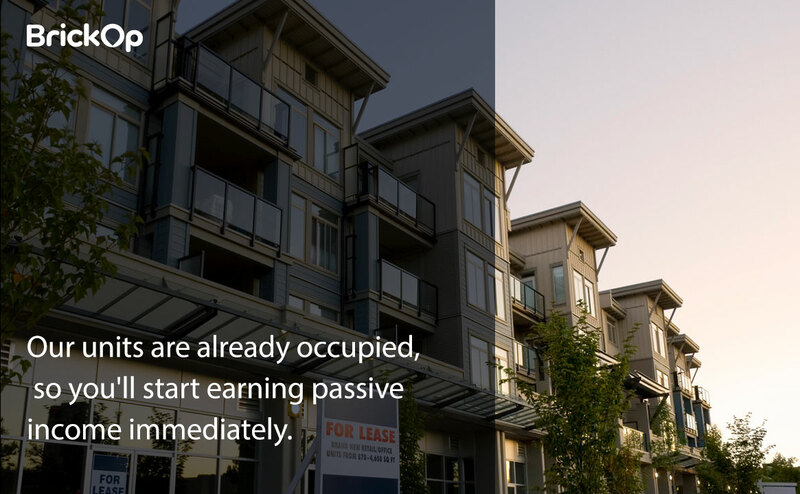 Our units are already occupied, so you'll start earning passive income immediately. Our vetted property management partners collect rent from each tenant, including HOA fees. The following deductions are made, if applicable. Once collection is done and deductions are taken out, the remaining balance is deposited directly into your investor/owner bank account. You'll never have to call a tenant or pick up a check. Just sit back and watch your cash flow begin. No one likes to see money taken from their earnings. Let's talk about that property management fee. BrickOp investors pay a four percent monthly fee that is automatically deducted from the collected rent. Most property management companies charge anywhere from eight to 12 percent each month. However, BrickOp partners with local, highly-vetted property management agencies to get bulk discounts for their services. So, instead of being an independent landlord paying eight to 12 percent, you get the benefit of being part of a collective group. Just think how much that saves you over the course of one year. If you have a unit that rents for $1500/month, you'll pay four percent or $60/month in management fees as a BrickOp investor. As an independent landlord, you would pay between $120 and $180/month in fees for the same unit if you wanted to hire a property manager. Over one year, that's a savings of between $720 and $1,440. In addition to gaining access to the area's top property managers, BrickOp investors get a lot of bang for their four percent buck. Here are a few more perks of that property maintenance fee. No additional fees. In addition to charging a higher monthly fee, traditional property management companies typically charge for additional services too. For example, a set-up fee (sometimes as high as $300) is charged to set up your account with the company. This often includes inspecting your property and establishing contact with the tenant. A leasing fee is also charged when the property manager must find a new tenant and re-lease the property. This fee can be a flat rate, or between 25 and 75 percent of one month's rent. A lease-renewal fee is an amount charged to simply renew the current tenant's lease, usually less than $200. None of these fees apply to BrickOp investors. You'll get top-notch property management services for your four percent monthly fee, nothing more. Maintenance made simple. Since your unit is part of a larger complex, HOA fees cover most of the general maintenance in the common areas. Repairs inside the unit are the owner's responsibility. However, the property management company can arrange for all the necessary maintenance and repairs, and simply deduct the cost from the collected rent. Easy tenant search. Don't worry about finding reliable tenants, advertising for renters or collecting deposits. Our property management partners are experts at identifying quality, low risk tenants, including running a credit report and background check on each. Get started investing in your future. Whether you are new to real estate investment or an experienced property owner, BrickOp is making real estate investing easy for everyone. Contact BrickOp today to learn more.